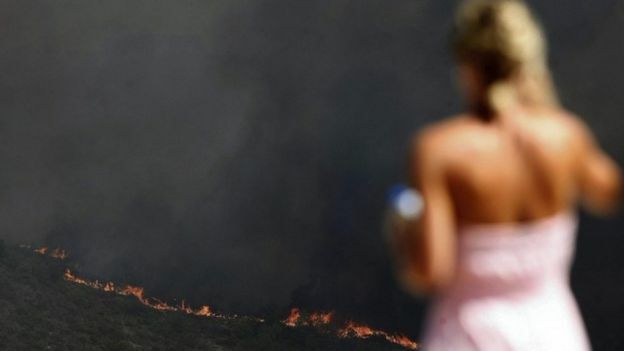 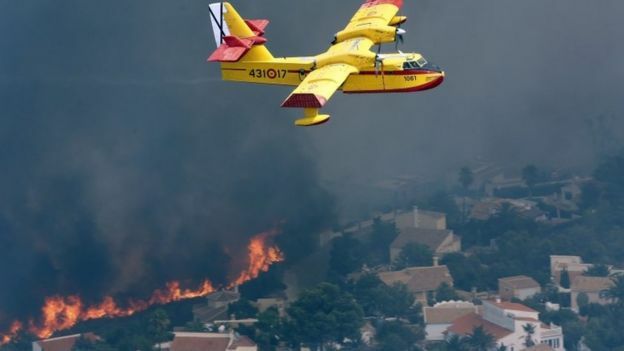 Firefighters in Spain are battling a huge forest blaze on the Costa Blanca that has forced the evacuation of thousands of people including tourists. 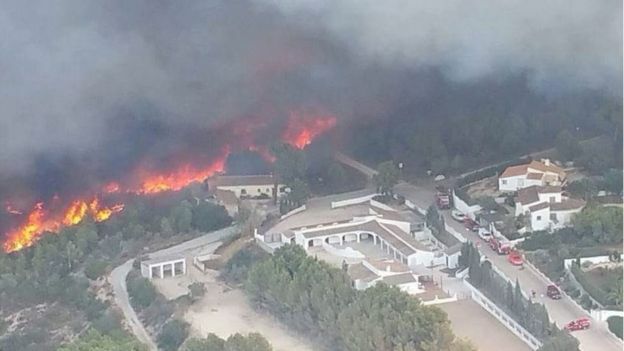 “Everyone is coming together”, Jeremy Kenton, said a British osteopath working in Javea. 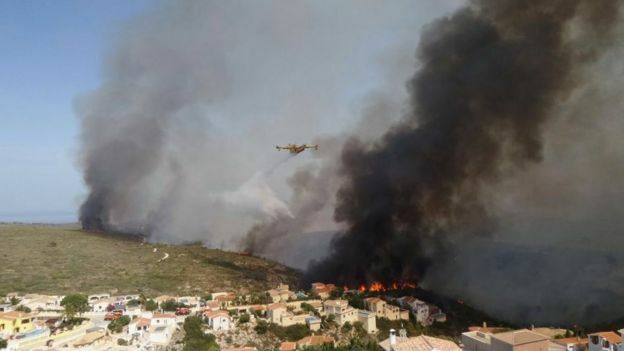 “Evacuation tents are being set up in schools, the fire brigade has come from as far north as Valencia, seaplanes are literally swooping down to the sea and then fly in strange angles towards the mountains to drop water. 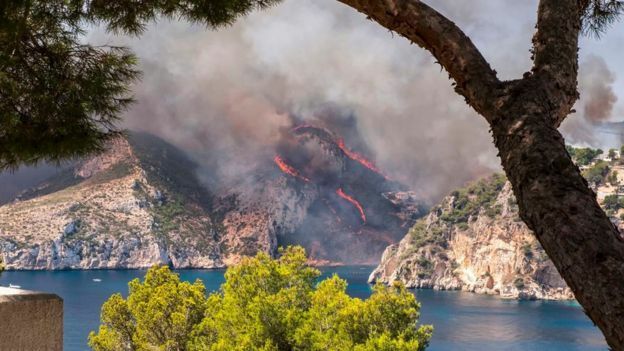 “The pilots are simply outstanding,” he said. 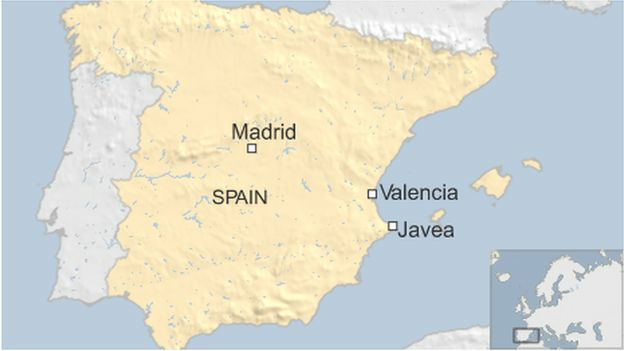 Valencia emergency services head Jose Maria Angel told Spanish radio that he believed three fires that ripped through vegetation and destroyed buildings were due to “the hand of man… in a very precise way”.